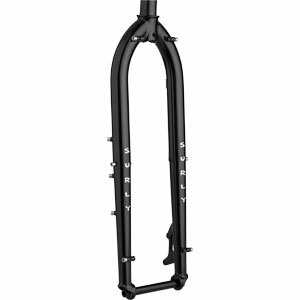 Designed around our updated Krampus Frame (but also employed on our updated Karate Monkey Frames), this fork is available in two options. 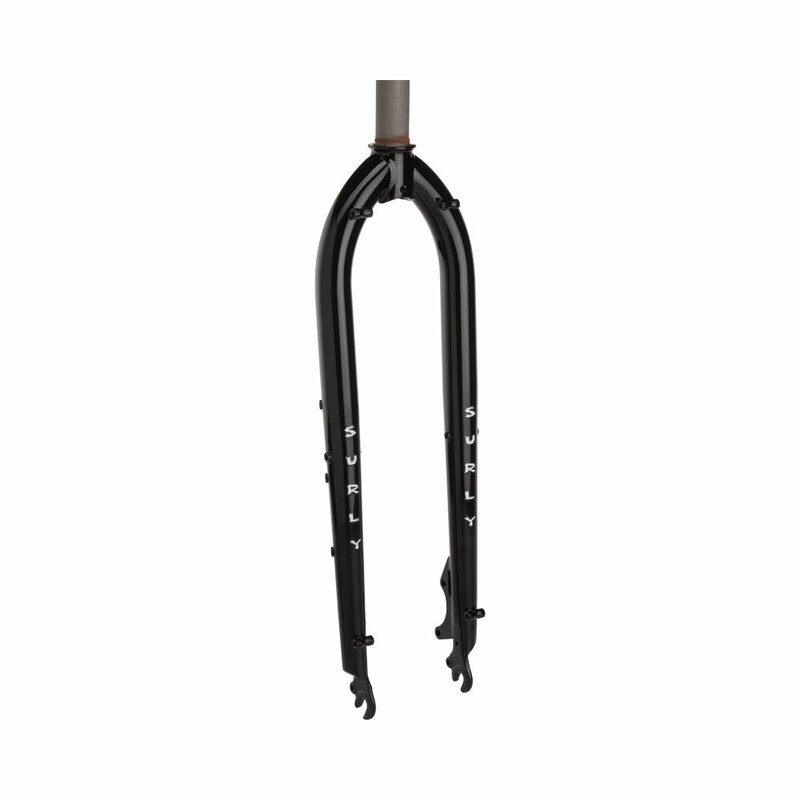 One has quick-release dropouts and is free of all braze-ons (except line guides.) 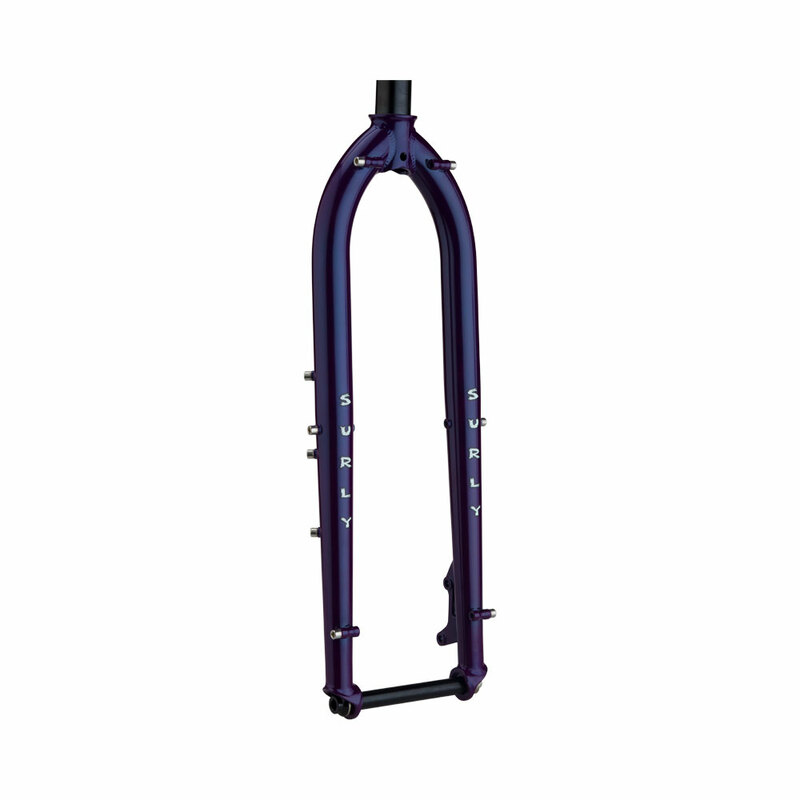 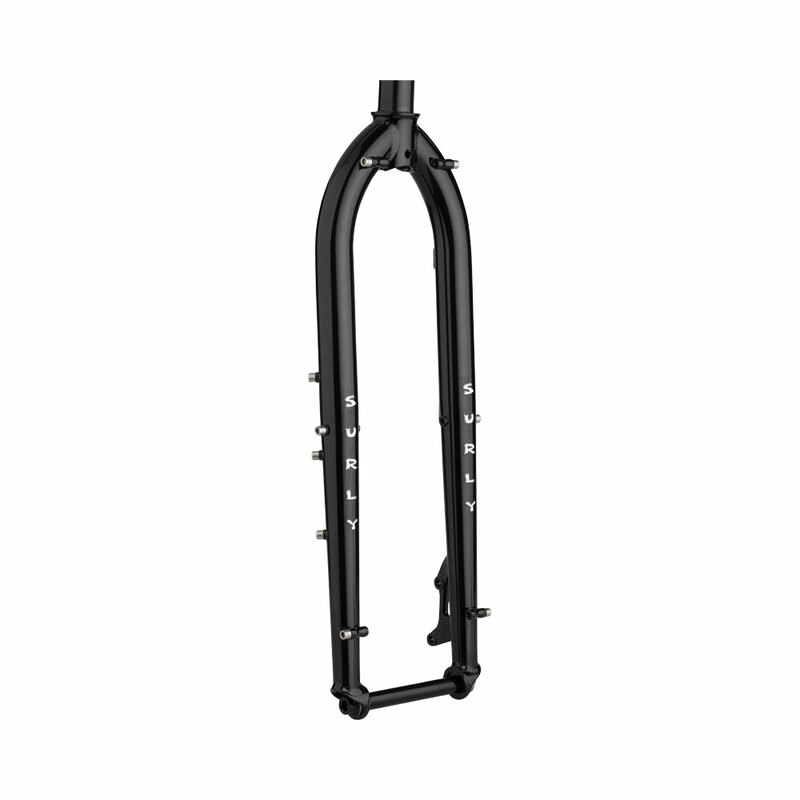 The other features a 110mm x 15mm thru-axle, line guides, mid-blade eyelets, and Three-Pack Mounts on both legs. 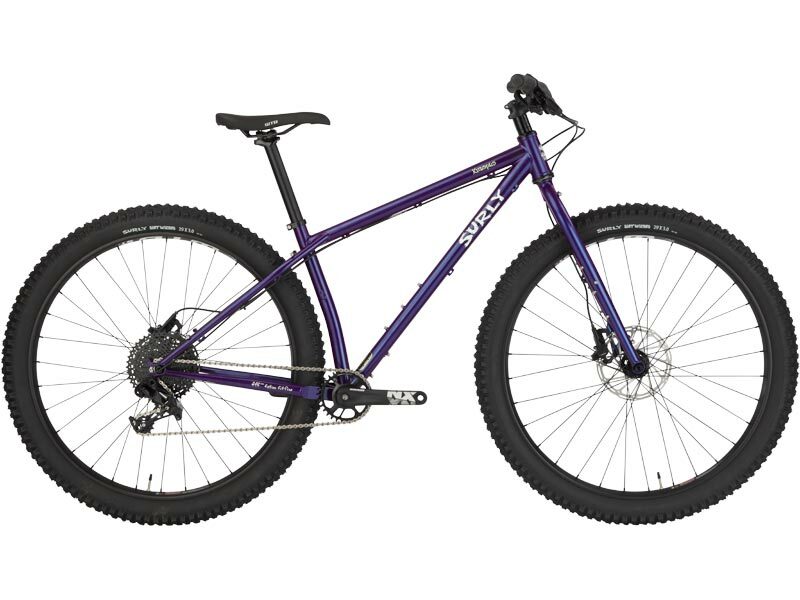 Both options accommodate Krampus’ 29” x 3” tire clearance just fine. 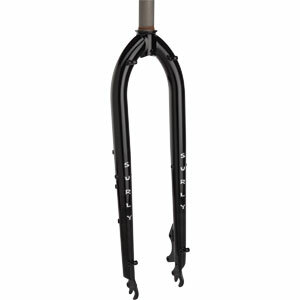 To accommodate such big tires, it’s got a longer axle-to-crown measurement than our Ogre or Karate Monkey Forks, making it a perfect rigid fork option for lots of 29ers out there.